When you need labels that are too large for traditional presses or require labels that have genuine outdoor UV stable applications, we have you covered with our Seiko M64 Wide Format printer. We can now offer exceptional print quality on a wide range of permanent and prepositional vinyl substrates, combined with additional gloss or matte laminating, and finishing in singles or top cut label sheets as required. Our Seiko M64 Wide Format printer uses quality SX Inks that deliver a wider range of the colour gamut, high vividness, high density, perfectly suited for UV Stable outdoor durability. 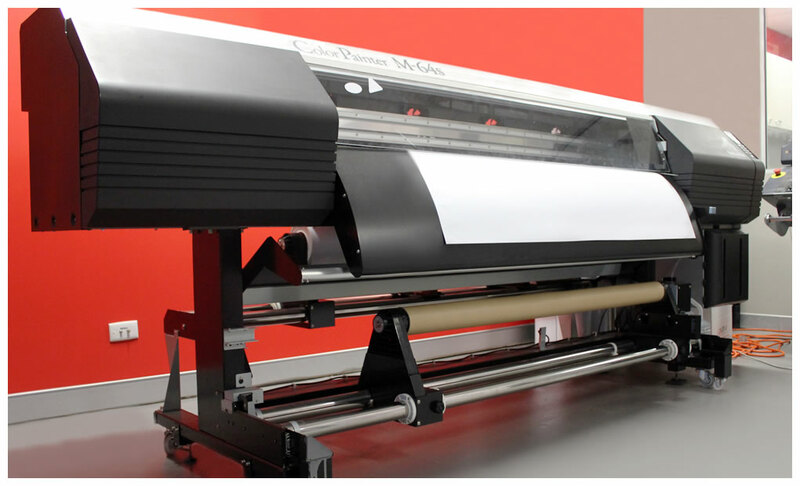 Delivering speeds of up to 33m2 per hour, you can rely on Guru Labels to take care of all your outdoor printing from bumper stickers to wall prints and everything inbetween. Our Seiko 64 wide format printer’s deliver quality full colour CMYK printing to a wide range of self adhesive vinyls for indoor and outdoor applications. This technology uses UV stable 3 year rated inks, ensuring your message endures the test of time. This type of label manufacturing delivers incredible flexibility, allowing us to finish your labels in almost any shape or size required.